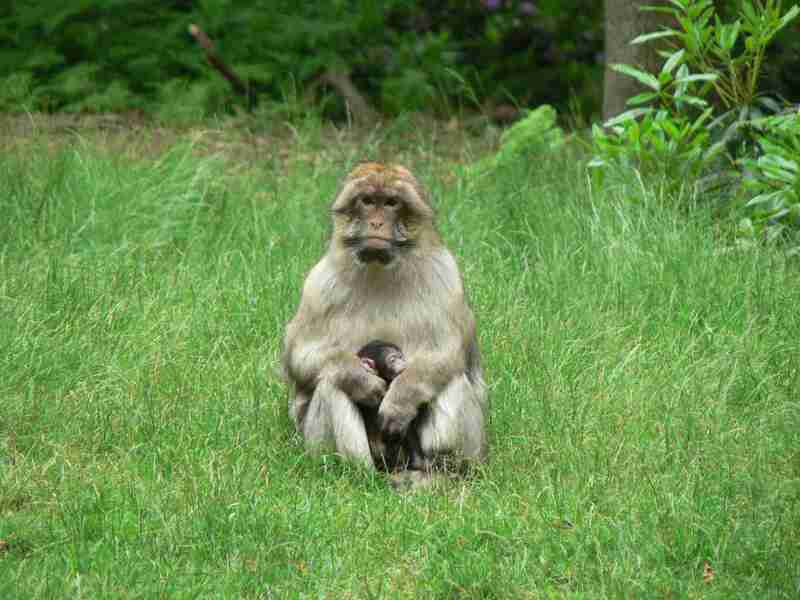 For a fun, family day out, the Monkey Forest in Staffordshire is a good choice. As you enter, there are information boards telling you about the monkeys that live here, where their natural habitat is, what they eat, and so on, as well as information about conservation work. There is also an explanation of what the monkeys’ facial expressions and sounds mean. After that you are free to wander around the 60 acres of woodland. Although some of the slopes are quite steep, the paths are well-maintained, so it is possible to take pushchairs and wheelchairs around. The monkeys here are not tame, nor are they encouraged to be, so don’t expect to pick them up and cuddle them. However, there are benches dotted around, so if you sit quietly and watch you will see them playing together close by, and sometimes they will run right past your feet. If you look closely as you walk around you will also notice some of the monkeys observing you, and if you are lucky you may even see baby monkeys clinging on as their mothers run across your path. It’s a great chance to see monkeys living almost as they would in the wild, and is educational as well as fun.